Village and Terraced Rice Field - Longsheng, Guangxi province, China. hd00:22Terraced rice fields and traditional village - Longsheng, Guangxi province, China. 4k00:13Amazing terraced rice paddies in the mountains of northern Vietnam. 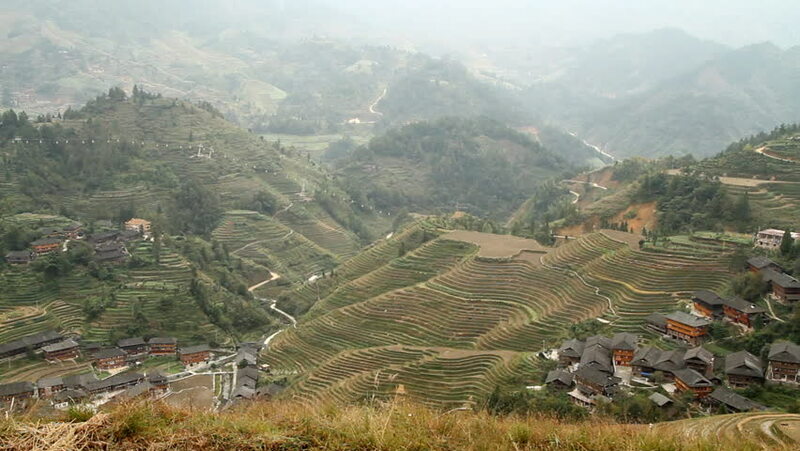 hd00:13Amazing terraced rice paddies in the mountains of northern Vietnam. 4k00:41Bird's eye view of Rabun Gap, GA.